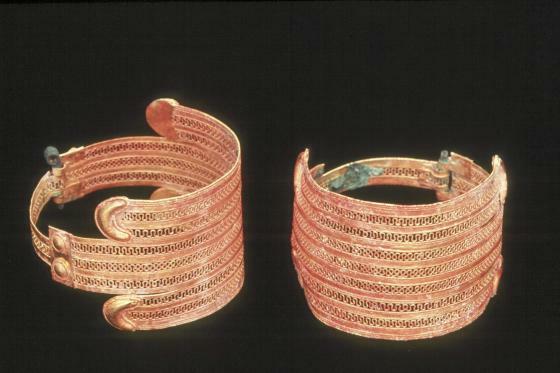 In antiquity, bracelets were usually worn in pairs. 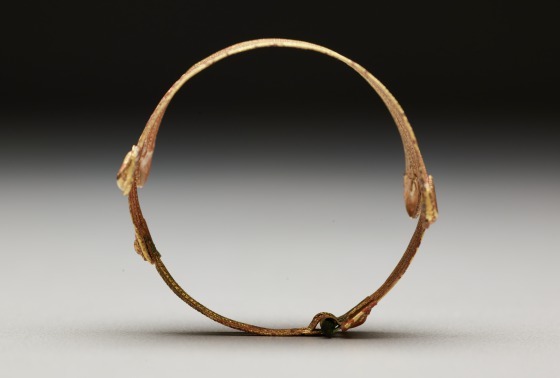 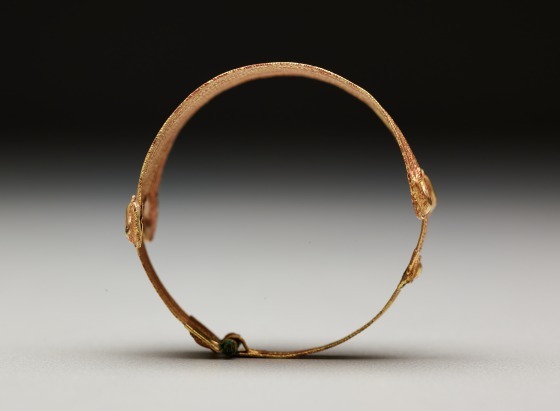 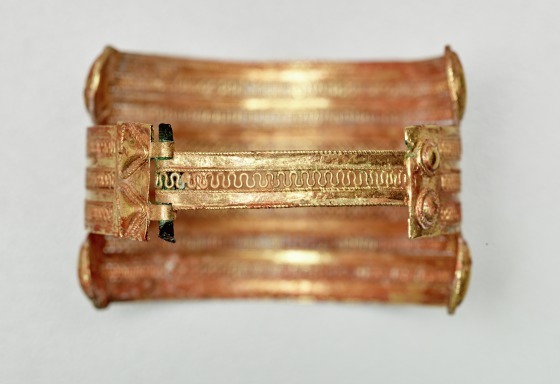 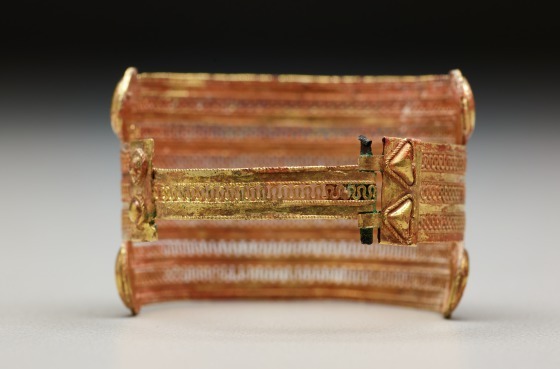 However, the number of surviving Greek and Etruscan bracelets is surprisingly small. 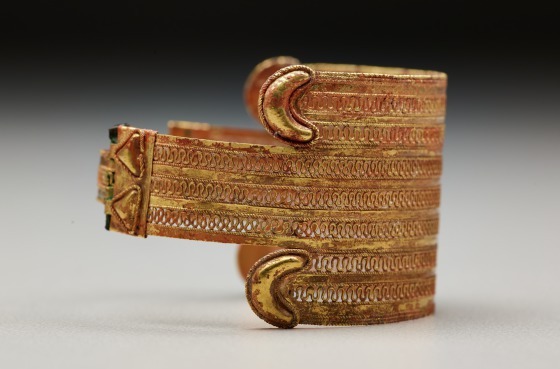 In contrast to another bracelet in the Dallas Museum of Art's collection (1991.75.9), the deft execution of this pair is admirable (see the companion piece: 1991.75.7.1). 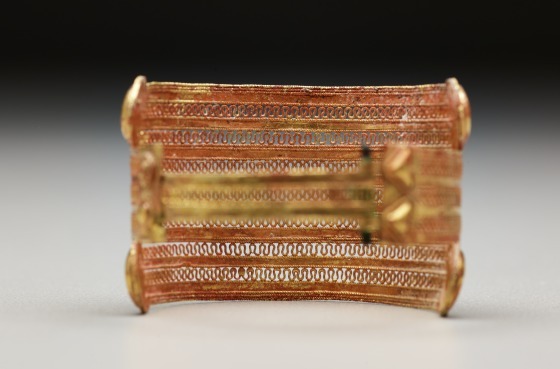 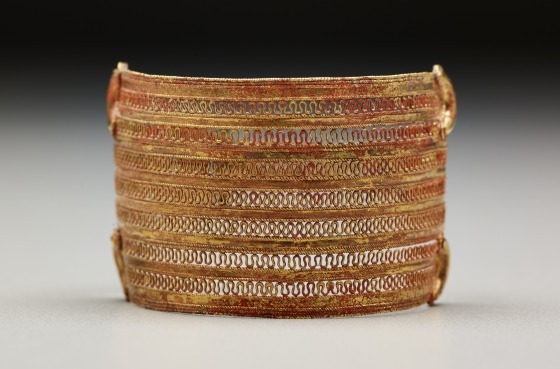 Each bracelet is composed of a rectangular band with narrower extensions at both ends, decorated with long strips of openwork filigree running alongside strips of plain sheet gold. 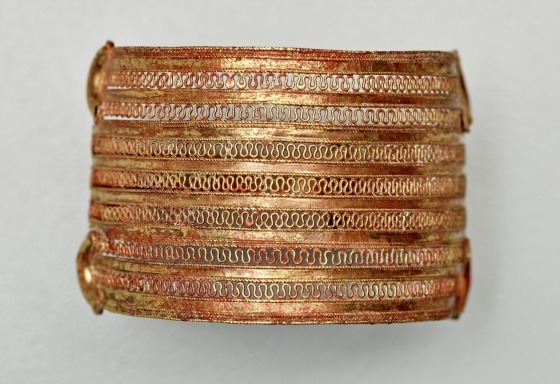 The undulating gold wire used for the open filigree work is a noteworthy decorative device of Etruscan metalwork of the Orientalizing period. 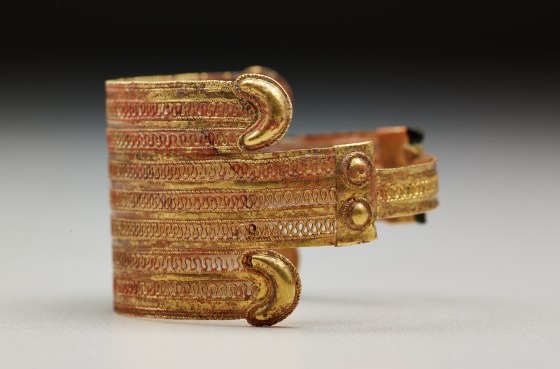 Barbara Deppert-Lippitz, Ancient Gold Jewelry at the Dallas Museum of Art (Dallas: Dallas Museum of Art in association with the University of Washington Press, 1996), 37-38; 128.